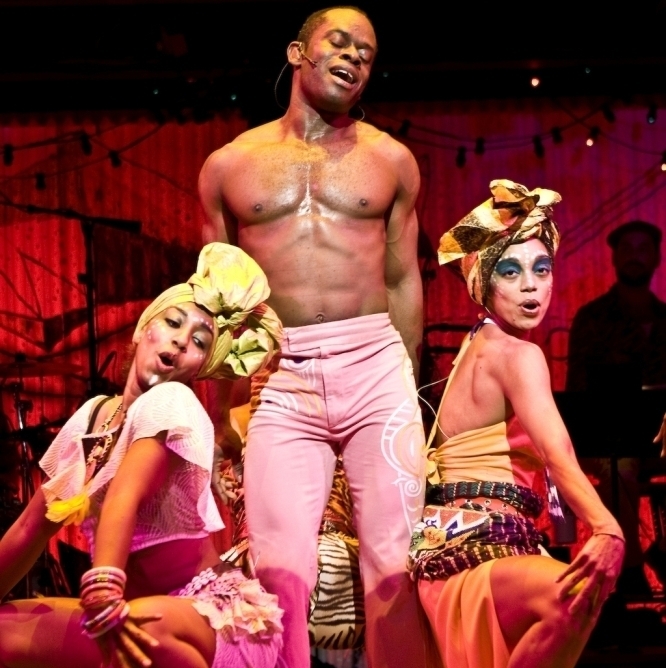 Bill T. Jones Takes Broadway Hit 'Fela!' On Tour Award-winning choreographer Bill T. Jones joins NPR's Neal Conan to discuss Fela!, his hit musical about the life of Nigerian musician and human rights activist Fela Kuti. The show kicks off a national tour this month. Catherine Foster, Sahr Ngaujah and Nicole de Weever perform Bill T. Jones' choreography in Fela! The musical Fela! was a hit with audiences on Broadway, and now it's headed on the road; the show is kicking off a national tour in Washington, D.C. this month. Many critics ascribe a portion of the show's success to the involvement of acclaimed choreographer Bill T. Jones, a two-time Tony Award-winner and recipient of a MacArthur "genius" grant. Jones serves as a producer and choreographer for Fela!, which portrays the life of Nigerian musician and human rights activist Fela Kuti, often hailed as the father of afro-pop music. With a long career in experimental modern dance, Jones tells NPR's Neal Conan that he was initially hesitant to take the project on. "[Modern dancers] are allergic to Broadway — or so we thought," he says. "It was too much about commerce ... it was too much about the everyman's opinion and we were a bit of snobs, so to speak." But the team behind the project impressed Jones. "Their openness and curiosity about what the stage can do, and what popular theater can be," Jones says, quickly won him over. Jones says he was also attracted to the complexity of Fela Kuti the man, a harsh critic of Nigeria's political leadership and a flamboyant personality who had multiple wives. "He was ... so imperfect ... The whole world revolved around Fela and his way of thinking," he says. "He was poetic for me, and I sometimes call him a kind of 'sacred monster.' No society should be without a person who asks difficult questions."